Ever feel like you going in circles figuring out what to give to your dad this Father’s day? We have the perfect craft in this week's flashback that not only will he love to display on his desk but it won’t take you long to create! Read on to find out how to make this bold and colourful make with our free template! 1. Place your free template on top of your chosen 12x12 sheet from your First Edition Wild Flower paper pad. Secure it by adding a few strips of Washi Tape while you cut. 2. Alternatively you can crop down the template image and upload it to your Cricut design space as a cutting template, then sit back and let the Cricut Air machine cut the template out for you. Once done, use a craft knife to carefully peel off the design from your mat. 3. If cutting by hand, use a craft knife and start from the centre of the design and work your way out, ensuring to follow the black lines on your template. 4. Cut out the papercut design once more onto a another 12x12 Wild Flower sheet design. Then, cut out the stars from one paper cut and adhere them to the base paper cut with 3D foam pads. 5. 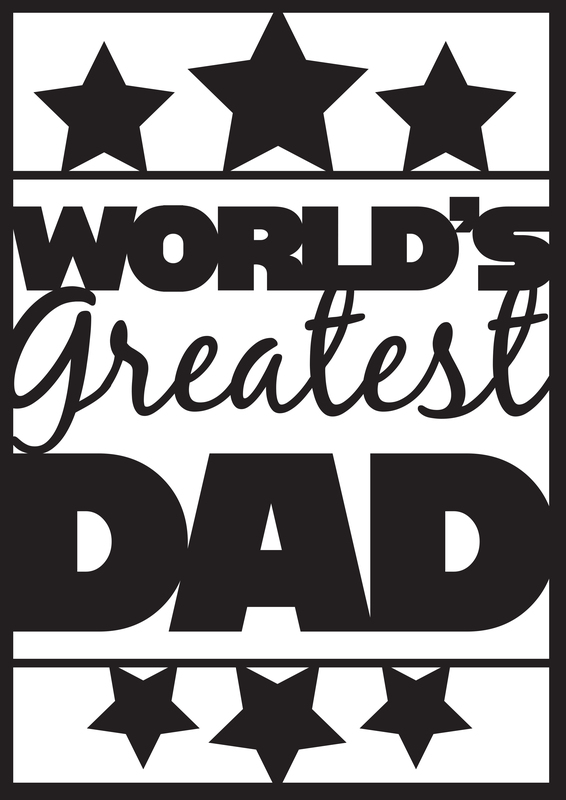 Cut out the ‘greatest’ sentiment and again, layer onto your base paper cut with glue. 6. Place your papercut design on top of a contrasting sheet of paper. We have used the wood effect paper from the First Edition Love Story 12x12 Paper Pad. 7. Trim your paper down and pop your papercut in a frame or onto a fancy clipboard! 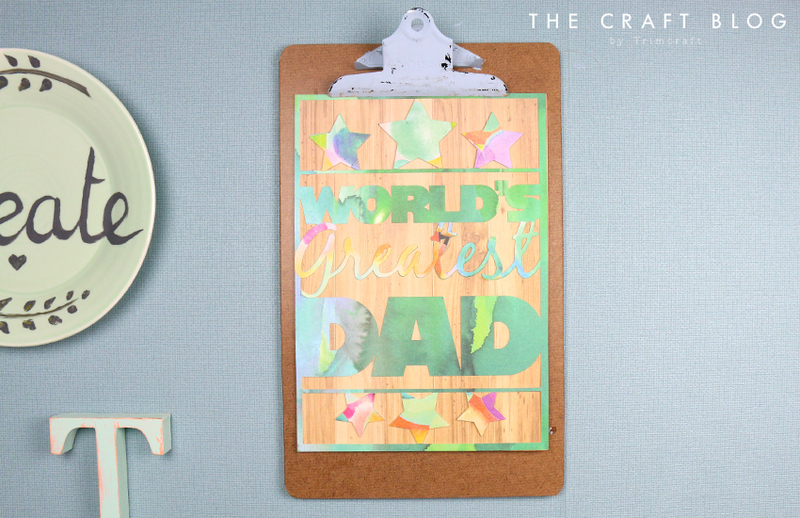 The Wild Flower paper pad has beautiful green tones that fit perfectly for Father’s day! This handmade treat will really make a special keepsake for your dad!